The SIUE Department of Construction has graduated over 700 construction management students since the construction management program began in 1979. Over 20 students have completed the requirements for the land surveying specialization. Construction alumni are recognized within the University community as among the strongest and most active alumni. The construction management alumni group, headed by president Matthew Pfund, BS '96, works throughout the year with students and faculty to provide support to the program. 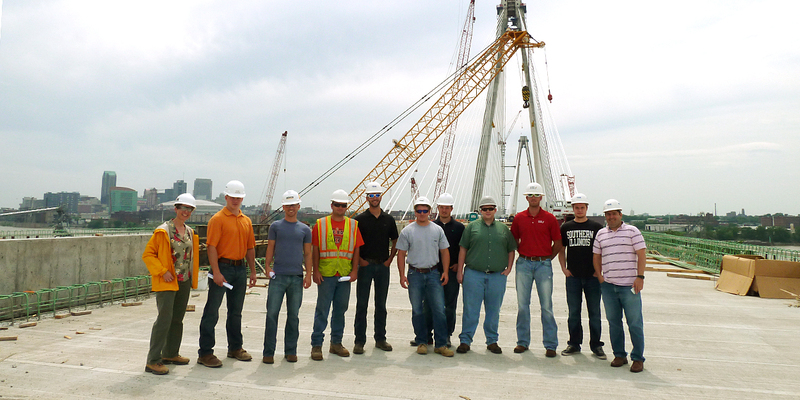 Alumni participate in various Department of Construction events; host current student visits to job sites; and present as guest speakers or adjunct instructors in the classroom. Every year during the fall semester, the Department of Construction hosts an industry and alumni networking night in the Engineering Building. This annual networking event allows industry representatives, students, alumni and faculty to meet and renew friendships, and to discuss current events and the latest in the construction industry. In the spring, alumni sponsor a spring golf tournament. These events help raise money to fund student travel to competitions, equipment for the department, and augment faculty development travel to construction education conferences.